For many of us, the house martin is an eagerly-awaited summer visitor, as welcome in our skies and to our homes as the swallow and the swift. However, our house martins are in trouble: there are now fewer house martins coming back from Africa each year. The new Devon Bird Atlas shows that confirmed breeding records across Devon have halved in just thirty years. The reasons for the decline are not fully understood. 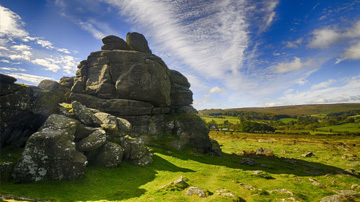 So, Dartmoor National Park, Devon Birds, Dartmoor Preservation Association and Duchy of Cornwall are joining forces to do find out more about these birds and do some active conservation and education measures. 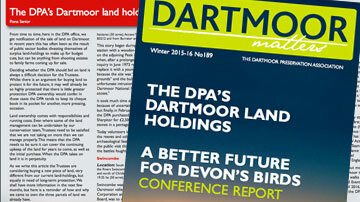 Members may remember reading about it in the latest edition of Dartmoor Matters. The Project has two main elements: encouraging people to get out and find their nests, and running a number of house martin wildlife events to celebrate these smart birds. 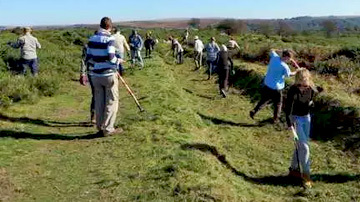 This year, the pilot survey will focus on six parishes across the national park: Chagford, Dunsford, Horrabridge, Ilsington, Mary Tavy and Buckfastleigh West. We will be asking everybody who lives in or visits any of these parishes to send in records of active House Martin nests. 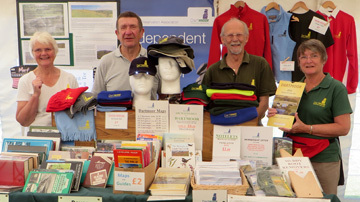 A series of talks is planned for each of the six parishes, kicking off in Dunsford Village Hall on 21 June, followed by Scoriton Village Hall on 22 June, Endecott House in Chagford on 24 June, Ilsington Village Hall on 29 June, Coronation Hall in Mary Tavy on 30 June, and finally Horrabridge Village Hall on 1 July. Renowned wildlife expert John Walters will give a presentation on the mysterious lives of these birds, and we will also introduce the project and describe the survey methods for people to take part. Every talk will start at 7pm, will be free of charge, and all interested parties are welcome. It is anticipated the events will last for around 90 minutes. There will also be practical events to help house martins across all of Dartmoor, and will include hints and tips on what people can do to make their homes, villages and towns better for house martins. House martins are the original cob builders, and we will be having fun making artificial house martin nests with natural materials that people can take home, as well as learning what makes a house martin different from a swallow, or a swift. Naomi Barker, Dartmoor National Park Ecologist, said: ‘We had our first outing at the Dartmoor Festival of Wildlife at Yarner Wood on 15 May this year, where children made 50 house martin nest cups over the day, and adults did their best to complete our quiz – I think the summary of the day was ‘messy but great fun!’. Our next outing will be a Ranger Ralph Club event in June, with many more events scheduled for the summer holidays – watch this space!’. The project is funded in part by the Postcode Lottery Fund.